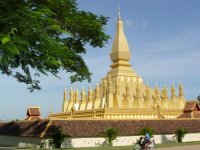 Laos is a landlocked country in Southeast Asia, bordered by Burma and China to the northwest, Vietnam to the east, Cambodia to the south, and Thailand to the west. With population around 6.5 million, Laos has one of Southeast Asia’s most pristine environments, with intact culture and quite possibly the most chilled-out people on earth making this an ideal destination for travelers. 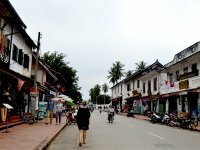 Although Laos is a quickly modernizing country, you can still see the old traditions and cultures, relaxed riverfront lifestyle and Buddha Park in the capital city of Vientiane, and the saffron-robed monks in the centuries old Monasteries and beautiful waterfalls nearby the historic city of Luang Prabang. 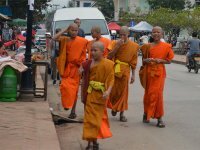 Most travelers visit Laos in combination of their trip to Cambodia and Vietnam, but Laos itself has a lot to offer. Away from the cities, the plains of Jars in Xieng Khuang, the forested hills of Northern Laos, the gothic limestone karsts around the backpacker-haven Vang Vieng and in the deep south, and past the market town of Pakse is Si Phan Don where the mighty Mekong River spreads out are only just a few of the many attractions Laos has to offer.